James Baker Productions is a world class production company that provides quality entertainment for theatre, corporate events, festivals and more. With over 1,000 performances globally, James Baker Productions has earned the reputation of delivering an experience to your audience that is unparalleled in the industry. Founded by renowned musician and sound engineer, James Baker, the company is now synonymous with providing the complete entertainment experience, every time. Since inception, James has built the James Baker Productions team to include not just the top performers and technicians in their respective fields, but experts in costume design, marketing and PR to complete the team that are committed to making your event a success. James Baker Productions has achieved massive success in the highly competitive ‘tribute act’ market. 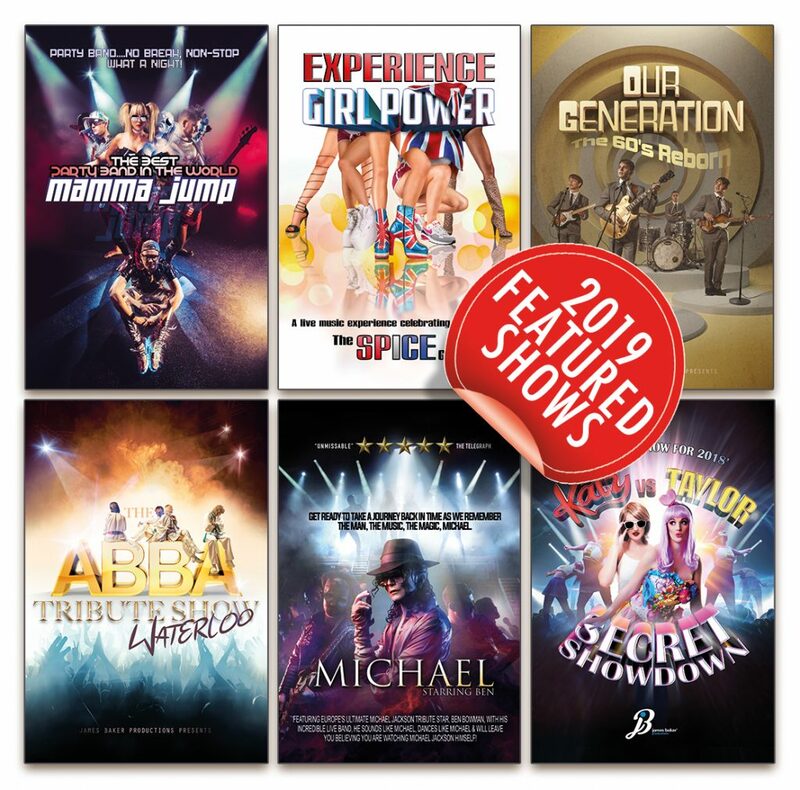 Shows such as Michael starring Ben, Waterloo – The Best of ABBA and the attitude-packed Girl Power – The Spice Girls Experience consistently thrill audiences around UK and beyond as well as entertaining audiences in the corporate and events market. Each show not only harnesses the incredible legacy of the music and acts they emulate but are delivered to the exacting standards as the original artists. The shows take audiences on an iconic musical experience that will be remembered long after the show ends.